Jt and I binge-watched Avatar: The Last Airbender on Amazon Prime over the past few weeks. Do you remember this show on Nickelodeon growing up? A fairly recent AMA on Reddit with one of the show's co-creators got me interested again, and I remembered I had never actually seen the ending! So we started from the beginning, and seriously, it is such a good series. It shouldn't even be classified as a kid's show, it's honestly for all ages and goes into really deep (and sometimes dark) themes: love, friendship, family, duty, but also war, genocide, and even brainwashing. 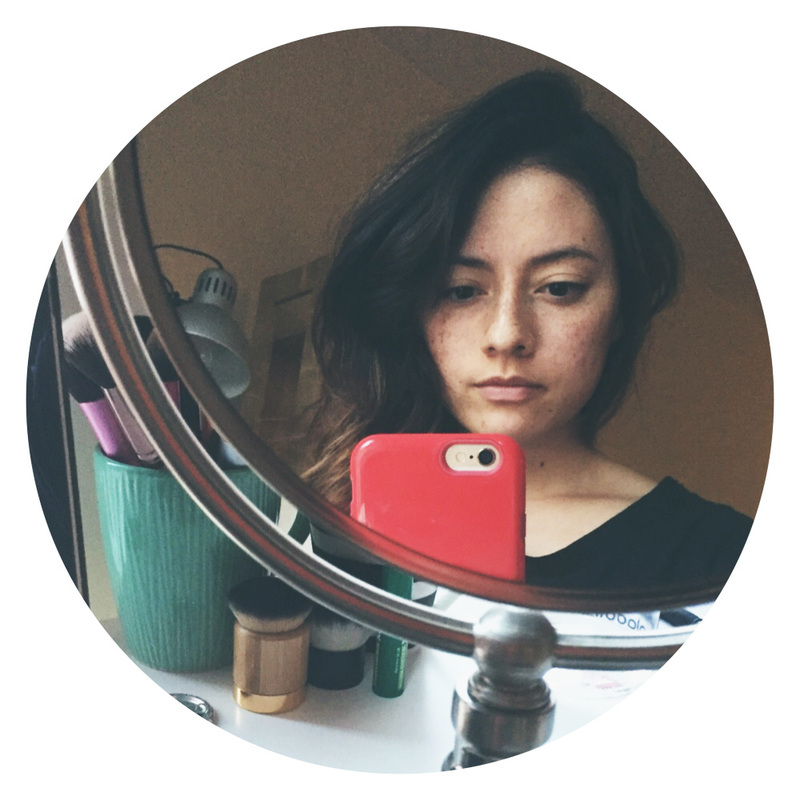 The characters are all three-dimensional — equally lovable and frustrating all at once. The fighting scenes are so fun to watch and we laughed out loud so many times. I wish there were more than three seasons, but there is still Legend of Korra (which is a spin-off of sorts and happens several decades after the end of Avatar), which we will be beginning soon. I couldn't recommend the show enough. 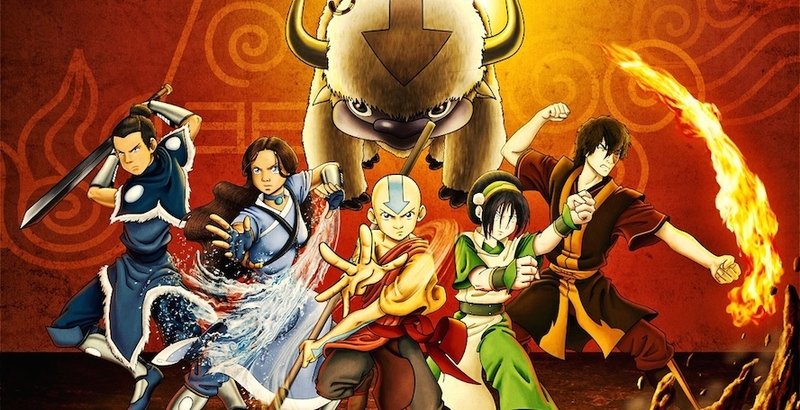 The main characters can be seen above: from left, Sokka and Katara (siblings from the water tribe), Aang (the avatar - the only person in the world who can master all four elements), Toph (toughest earth bender, also blind), and Prince Zuko (of the Fire Nation. His personal journey throughout the story was the most interesting to me). The story takes place in a world stuck in a 100-year war initiated by the Fire Nation against the others. The avatar is the only one who can restore peace by defeating the Fire Lord (Zuko's father), but the avatar was missing throughout the whole war. Sokka and Katara find Aang frozen in ice, and together they must travel the world and help Aang master all the elements before ultimately fighting the Fire Lord. Aang is just a kid, really goofy and cheerful, but also understands his responsibility and is a powerful fighter. They meet so many fantastic side characters, all affected by the war differently — it's just a fascinating world to explore. Plus, Sokka (and also Aang) provide so many laughs, and the anime-style is not only beautiful, but great for humor. 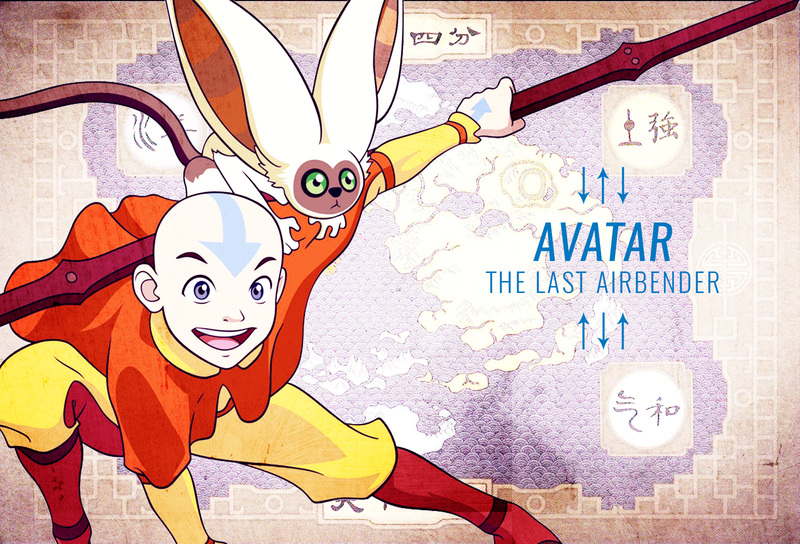 I only wish I could be an airbender too like Aang! Jt said he would want to be an earthbender. Sometimes I think I'd like to be a waterbender because they can have healing abilities, which would come in handy. But how could I deny my desire to fly?